The male is an enigmatic creature, constantly trying to best each other with acts of increased danger and stupidity. Dicing with death is the common theme in these 40 hilarious pictures. Women clearly live longer than men, and here are some reasons why. Please don’t try any of these things at home! Did Spiderman Leave His Costume At Home? To start things off, let’s take a look at our window cleaning friend here. 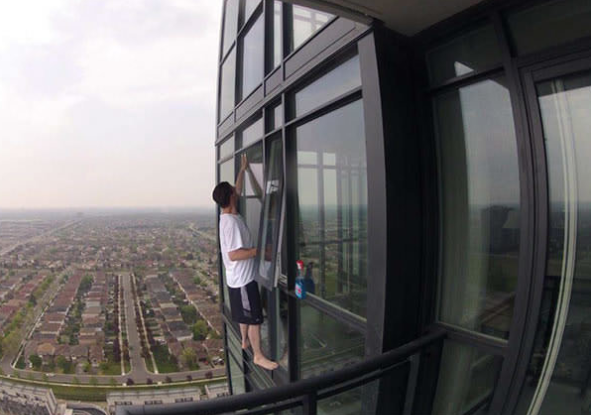 He can barely fit his feet on the window frame, but at least his all-purpose cleaner won’t fall twenty stories to its doom!